Adele Keohan, a Master Gardener with the Massachusetts Master Gardener Association will talk about the use of daylilies in our gardens. How about adding a “spider”, “double”, or “eyed” daylily to your garden bed? Adele will talk about how to select daylilies for your garden, and how to care for and propagate these hardy perennial plants. 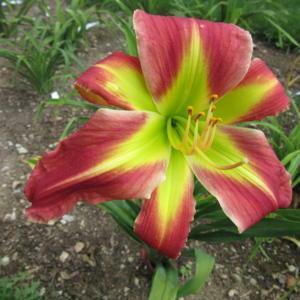 Adele Keohan is a regional officer in the American Hemerocallis Society (AHS), the national daylily society. She edits the award-winning regional daylily society publication, Daylilies in the Great Northeast. Adele is also a past president of the New England Daylily Society, a non-profit organization created for the purpose of promoting the daylily and educating the gardening public as to the care and cultivation of this beautiful and hardy perennial. In her own perennial plot she gardens as organically as possible.